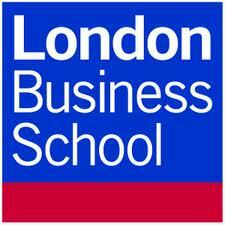 Last year all the incoming students at London Business School were given copies of The Sustainable MBA in their welcome packs. Just a few weeks ago the new class of 2014 started up on campus and they too were all given copies of the book! Again I have been receiving quite a few positive emails from students and I’m thrilled. As many of you know I started writing the book while I was a student at London Business School a few years back between 2005-2007. At the time, I was disappointed by the lack of knowledge that MBA students had in this area (not just at London Business School but other schools as well) and wanted to do something about it. I would repeatedly ask myself, “how are we going to change the business sector if the graduates going into management positions don’t understand how to make sustainability a reality within those businesses?” Things have come a long way already since I was a student at LBS, but we still have a long way to go. I’m excited that there’s more interest in this topic than ever. What is even better is that there are now quite a few schools around the world that give the book to their students or use the book with their students in classes. There are also quite a few businesses that give the book to new managers and use the book on their training courses. 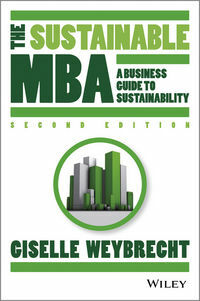 The book is providing managers and employees with ideas and inspiration on how to make sustainability a part of their job, regardless of what kind of job they have. Once again I am expecting big things from the class of 2014. I’m really looking forward to seeing what you all do!